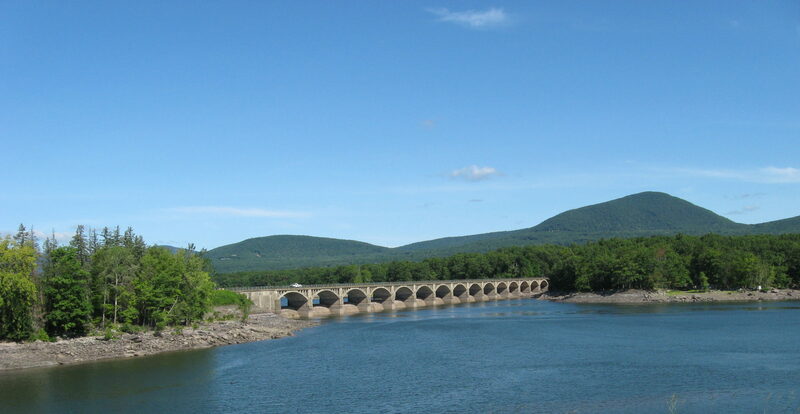 Next week (February 6-9, 2011), is the New York Water Environment Association (NYWEA) Meeting 83rd Annual Meeting & Exhibition. The is a great meeting for students to network and make contacts in the field. Any students interested in attending the meeting should contact me or the NYWEA offers, and should bring 25 copies of their resume to the meeting. The meeting is being held at the Marriott Marquis in Times Square. On Tuesday, Feb 8th, I will be co-moderating the University Forum at the NYWEA meeting where students from universities with NYWEA chapters will be presenting their research. This session is from 1:20 to 4:40 in the Wilder Room on the 4th Floor. In addition their is a Young Professionals reception starting at 4:30 which is useful to meet new contacts. The NYC Brownfield Partnership is soliciting applicants for its Brownfield Internship program. The Internship Program is intended for students who have a genuine interest in brownfield redevelopment and who are pursuing studies and careers in the brownfield industry. Current undergraduate or graduate students enrolled at an accredited NYC college or university are eligible to apply. The Partnership will be looking for students pursuing studies related to brownfields, namely, environmental engineering, environmental or geosciences, such as geology or hydrogeology, biology, chemistry, public affairs and administration, architecture, environmental policy, environmental planning, environmental justice, environmental law, real estate, sustainable development, urban affairs, urban planning, industrial hygiene, or public health. The 2010 program period will extend throughout the summer (June to August 2010); however, other internship periods may be negotiated directly with the Partnership. Applications will be accepted from January 2010 to April 2010 on a rolling basis, but students are encouraged to apply early. Students may apply online at www.brownfieldnyc.org or send in a completed application form. My collaborators at University of Delaware and I recently published a paper on the distribution of proton dissociation constants of natural organic matter. The paper discusses the use of SPARC (short for SPARC Performs Automated Reasoning in Chemistry to compute proton dissociation constants for model humic and fulvic acid molecules. Congrats to all involved. I love when you expect something from Google search and get the unexpected. I didn’t know Dr. Bunsen’s last name was Honeydew. Well, the new semester is about to start (how exciting). At the start of every semester, I set goals for what I want to accomplish before the semester ends. My goals for this semester are to submit a paper that I’ve been sitting on, and finish off a paper I’m currently in the process of writing. On top of that, I have two conferences to go to (SETAC and the UMass Sediments conference) where I am giving presentations. I also want to get down to Hopkins at some point, and we have an ABET visit to get through. Oh, and let’s not forget I’m teaching 4 classes too. It’s time to get ready! So here we are at the start of yet another new semester. New challenges lie ahead for students and faculty alike. I am excited to get this semester started, especially because I am looking forward to teaching Reliability, a Junior level class which has many students that I have had before as Freshman and Sophomores. Let’s see if they can step it up a notch. If you are in the other two classes I am teaching – I look forward to seeing you too.